Haul: Korean Beauty Products from LoveMyCosmetic | Memorable Days : Beauty Blog - Korean Beauty, European, American Product Reviews. Hi all! 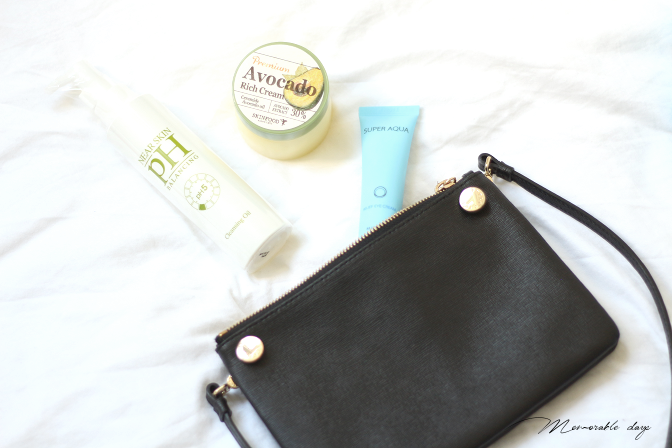 A few weeks ago I got a few Korean Beauty products from the webshop LoveMyCosmetics. It's a webshop that is based in Germany, yes another store that is based in Europe! This store sells products of brands like Benton, Nature Republic, Missha, Etude House, Innisfree, Tonymoly, Cosrx, It's Skin and more! Btw. Did you know I created a second instagram called SOKOBEAUTY where I share mostly Korean Beauty products, new releases and everything about Korean skincare that I love! Feel free to add me there and enjoy's todays' haul from LoveMyCosmetic. I got 3 items: one item from Skinfood and two from Missha. 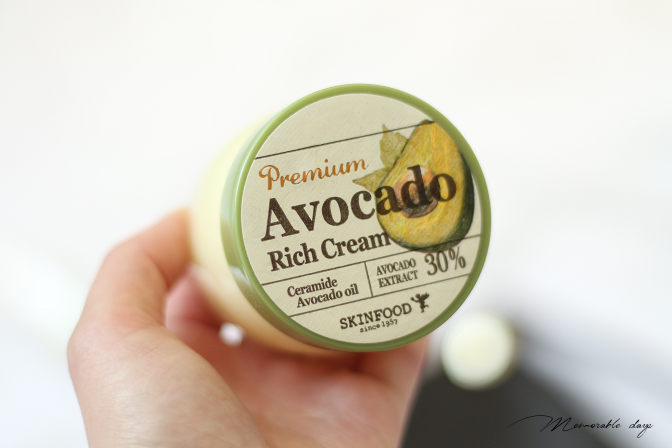 I have been wanting to try this avocado cream from Skinfood for a while. I love to eat avocados since it contains great fats. However, I have never applied a cream that contains 30% avocado extracts before. This is interesting. It has ceramide avocado oil. Lovemycosmetic is selling is on their website for €24,95. To keep your pH balanced is one of the most important thing for skincare. When I saw this cleansing oil at their webshop I was dying to try it out. This balancing cleansing oil from Missha has a ph of 5. Lovemycosmetic is selling it on their website for €14,95, a very reasonable priced cleansing oil! 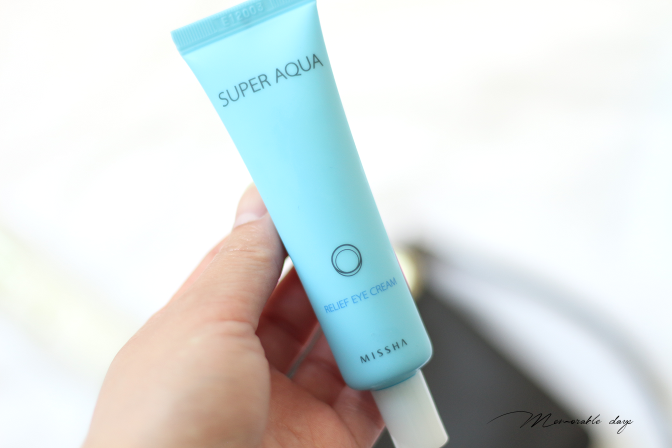 I have been wanting to try a new eye cream so I wanted to try this relief eye cream from Missha. It's one from their Super Aqua line which is popular because of their moist ingredients. Do you know a good eye cream? Leave a message below since I am looking for one! Lovemycosmetic is selling the eye cream for €15,95 on their website. WANT ME TO REVIEW ANY OF THE ABOVE PRODUCTS? Lovemycosmetic.de doesn't have a massive collection compared to other sites that are based in South Korea, but they do have some popular products in their assortment. They sell products of well-known brands like Etude House, Missha, Innisfree and Nature Republic. It's always great to see that there is an increase of webshops that are based in Europe. That makes the shipping time way shorter, instead of waiting for 2 weeks, I can now use it within 2 days. Their products are reasonable priced too so it's not like you're paying a fortune just because they are based in Europe. They also offer free shipping when you purchase over €50.- in their shop. note: I didn't receive money to blog about this, these products were sent by the shop and chosen by me.